Comedian Matt Okine visits top chefs to learn their tricks of the trade for cooking some amazing recipes. Shortcuts to Glory is an easy to follow, step-by-step “how to” guide for anyone who can’t cook, like comedian Matt Okine. 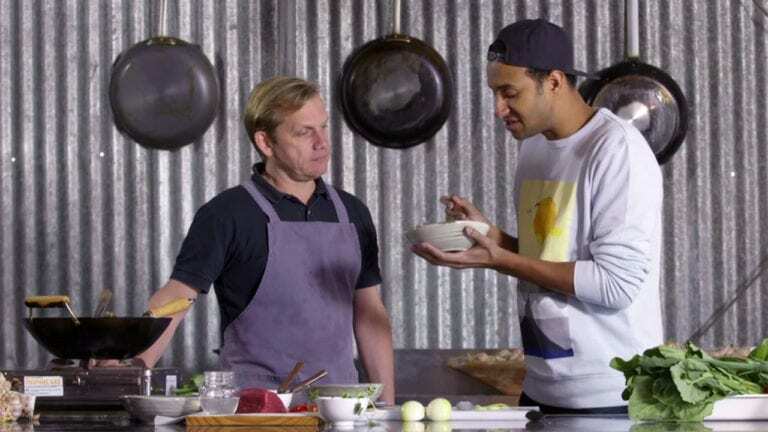 In each episode Matt visits one of Australia’s finest cooks or chefs, who teach him a simple, budget-friendly dish and share their insider tips and tricks. The dishes look after your budget as well as your belly.